The HBCA SMC cares about your happiness! 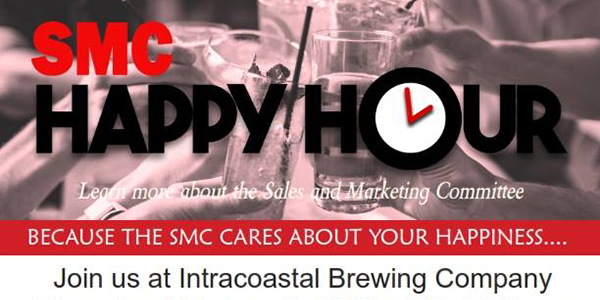 Join us for a Happy Hour at Intracoastal Brewing Company to learn more about the Sales and Marketing Committee. Visit HBCA-Brevard.org to RSVP or call 321-254-3700.